Five Myles Gallery 558 St. Johns Pl. 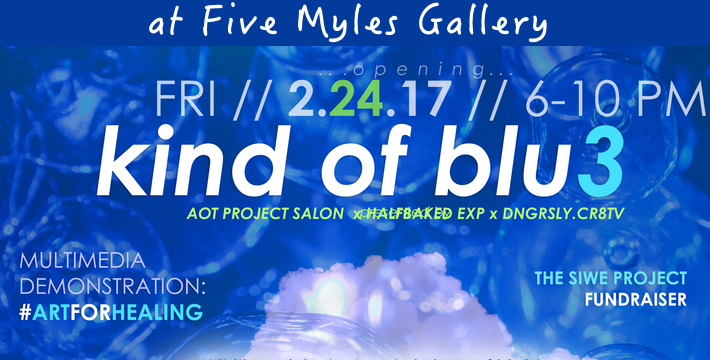 A multimedia pop-up exhibition of paintings, multimedia works, and photography. At least 50% of proceeds from art sales will benefit The Siwe Project, a non-profit organization raising mental health awareness within communities of color. The Siwe Project widens the public dialogue regarding the lived experiences of people of African Descent with mental illness. By providing opportunities for dialogue and the uplifting of new narratives and discourse, The Siwe Project aims to encourage more people to seek treatment without shame.